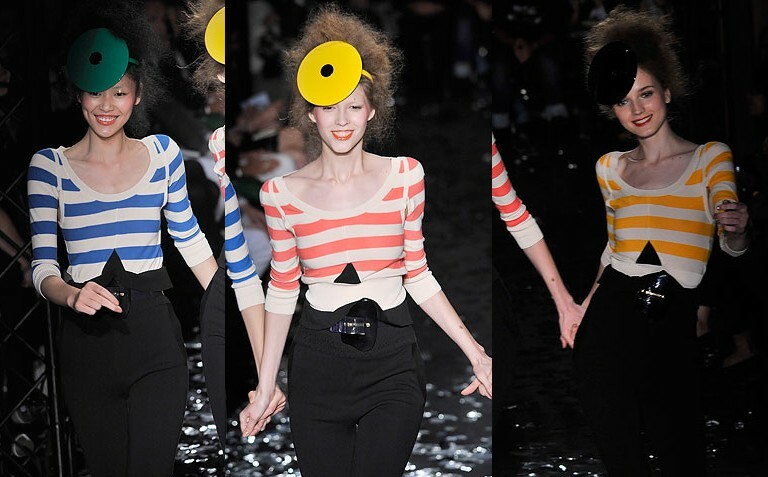 I loooved Sonia Rykiel. I imagine that for models it must be a very fun show since they can smile and laugh and be a little goofy and not stagger like they are going to murder someone/walk very intently towards the end of a walkway only to angrily turn back. PS, the sheer purple biker shorts layered underneath idea is super rad. Yay cute triangle shirts (that I feel could be really hipster but aren't?) tucked into nice highwaisted pants. Nice and classy. Won't be surprised to see Mobama wearing any of these pieces. 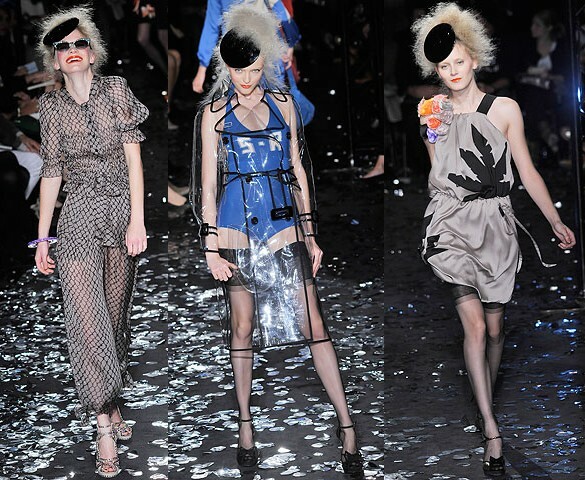 The trench is a BIT too similar to the Prada one from forever ago and I am not totally on board with the palm tree (guess it makes it more Spring) but I am all for the random mutating shoulder bouquet and the SR initials. And the fancy little number on the far left is calling my name. What a lovely thing to come home to after throwing up in gym class! I swear that is as stereotypically "middle school" as it gets.